Nothing can become a Bayonne Ham without respecting the clearly identified production areas: the Adour river basin for curing and the South West of France for the pigs. Bayonne Ham is made in the heart of a strictly defined geographical zone: the Adour river basin comprises the Pyrénées Atlantiques département and some outlying cantons of the Landes, Gers and Hautes Pyrénées. It is here, and only here, between the Atlantic Ocean and the Pyrenees that the right conditions exist to make Bayonne Ham. The pigs destined for making Bayonne Ham are exclusively slaughtered and cut up in a defined zone made up of 22 départements in the South West of France, that is to say the followng regions: Aquitaine, Midi-Pyrénées, Poitou-Charentes and some outlying départements. 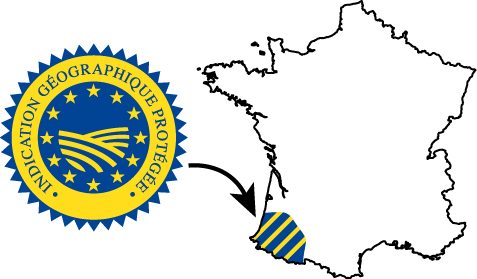 A Protected Geographical Indication is an official EU guarantee that the products concerned come from an area with a history and tradition in their terroir. It is a mark guaranteeing both quality and provenance, which has been put in place by the European Union since 1992. A PGI informs consumers of the specific qualities of the products concerned. The registration for this quality mark is limited to producers located in a specific geographic zone and who observe the production requirements laid down by the technical manual, thus protecting the geographical denomination from any imitations or passing off. 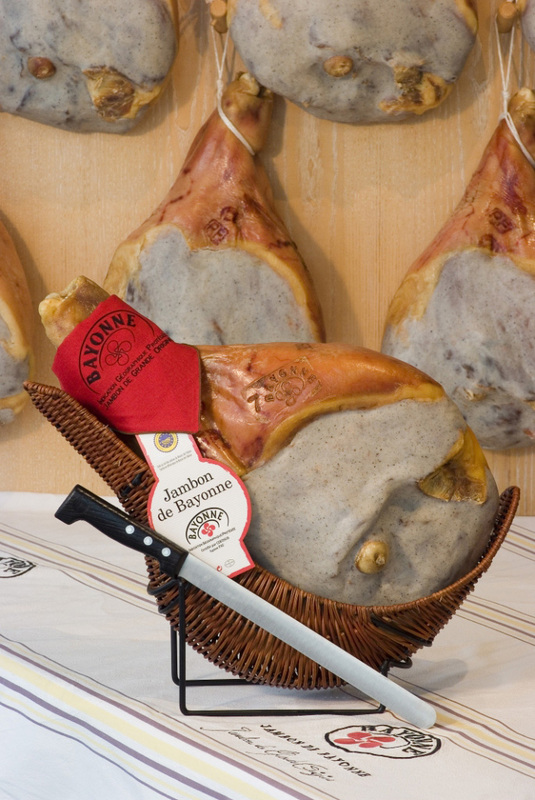 Bayonne Ham has been protected by Protected Geographical Indication status since 1998.